At the intersection of talent and hard work, you’ll find Grammy Award winning, multi-platinum producer and consistent hit-maker Drumma Boy. Best known for producing chart-topping smash hits such as Jeezy’s “I Put On,” Migos’ “Look At My Dab,” Plies feat. T-Pain “Shawty,” and Waka Flocka Flame’s “No Hands” feat. Roscoe and Wale just to name a few. Most recently, Drumma Boy’s record “We Poppin'” with NBA Youngboy ft. Birdman was certified Gold by the Recording Industry Association of America. With the loss of his brother Ferrell “Ensayne Wayne” Miles in early 2018, Drumma Boy pushes to carry on his brother’s legacy with their fashion boutique House of Fresh and most recently releasing “Live On” produced and performed by Drumma Boy. Drumma Boy has partnered with top Atlanta studio House of Hits, sits on the advisory boards of Tracklib.com and XYO, curates music for AudioMack.com and is, of course, a Grey Goose Connoisseur. Born in Memphis, TN, Drumma Boy has music in his DNA. His musical roots predate the platinum plaques and his now household name on the Billboard Charts. His mother, an opera singer, and his father, a music professor and critically acclaimed clarinetist (who was the first African-American man to hold the 1st chair position in the Memphis Symphony Orchestra) instilled a love and appreciation for music within him at a very young age. “I had a recorder in my hand at age three,” recalls Drumma Boy, “and by five, I had stepped up to the clarinet.” A classically trained musician, Drumma would fall in love with urban/soul music after being introduced to Curtis Mayfield and other greats from the 70’s era by his mother. While a freshman at University of Memphis, the ambitious producer would shop his homemade tracks to local prominent emcees like Yo Gotti, Gangsta Boo and Tela, and by his junior year he was traveling to Atlanta & Texas to work with hip hop legends Pastor Troy, Scarface, & Bun B (of UGK), quickly becoming one of the most sought after producers in hip-hop. It was in 2003 that Drumma Boy founded Drum Squad. This umbrella company that encompasses Drum Squad Productions and Drum Squad DJs. His DJ Coalition, now covers almost 30 states, 15 radio stations, & play in clubs across the world introducing new music and breaking artists into the industry. “I’ve made so many other artists popular, now I feel like its time to make my own artists popular.” In 2013, Drumma founded his record label Drum Squad Records and began signing talent. The artists on the Drum Squad roster include Scott King, KiD, L.I. Tha Great, D Boy Fresh, Lil Will and most recently added to the roster are Demiana Esposito, Qumontae and Spark Dawg. Drumma Boy’s musical influences range from German composers (Ludwig van Beethoven and Johann Sebastian Bach) to Jazz icons (Dizzy Gillespie and Miles Davis), to more modern producers like Quincy Jones and Raphael Saadiq. It’s with these unique influences that he approaches music production in an undeniably fresh and innovative way as he continues to churn out hits just releasing his first EDM TRAP single “Hulk Smash Remix” featuring one of Asia’s top DJ, Dokkaeb1 & DJ Trak Mark. Drumma earned two Grammy Nominations (in 2009) for production on T.I.’s “Paper Trail” (Best Rap Album) and Young Jeezy’s “Put On” (Best Performance by a Rap Duo) feat. Kanye West. The following year, Drumma Boy was hailed the #2 Producer of the Year in Billboard Magazine while the New York Times named him one of the four hottest producers “driving the city” in Atlanta, describing his sound as “a busy bee swarm of synths overlaid with brash bass injections that’s equal parts Memphis and Atlanta.” In 2011, his production on the Waka Flocka Flame’s platinum smash hit “No Hands,” featuring Roscoe Dash and Wale, earned him the accolade Best Club Banger at the BET Hip Hop Awards, a nod for Best Collaboration at the 2011 BET Awards, and an ASCAP Award for Most Performed Song. In 2013, the enterprising businessman added fashion designer to his repertoire with the launch of his urban men and women’s clothing line Fresh Phamily, which he launched during the 2013 BET Hip Hop Awards and was featured in the Wall Street Journal. Drumma Boy opened “G Factory,” a 20,000 square foot creative space in Memphis for film and TV show production, artists and painters to hone their skills. He was also named National Brand Ambassador for California based sparkling wine company Moreno BHLV, where he will appear in commercials and at events on behalf of the growing brand. 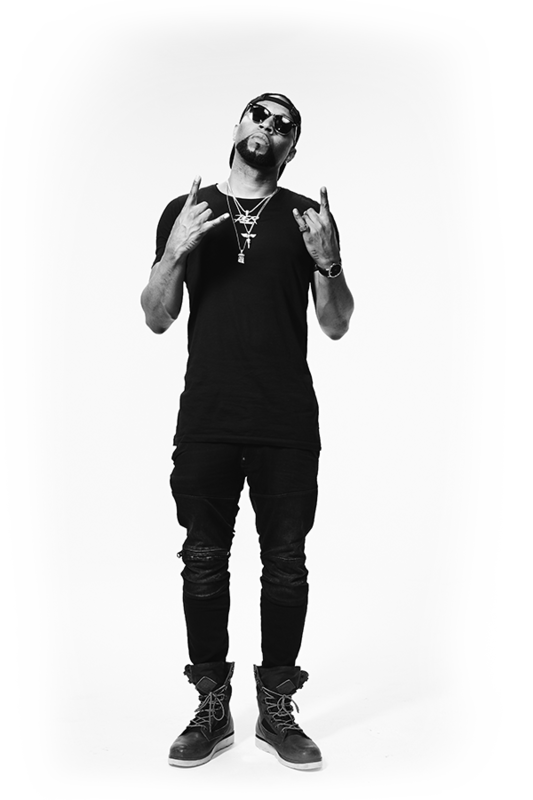 Drumma Boy lends his musical talents to NBA team Memphis Grizzlies’ talent department, producing their live halftime shows & finds time give back to his local community as well as communities around the world via Drum Squad Foundation.